Two interesting articles this week press on the concern of my last post, “Creative Commons”. 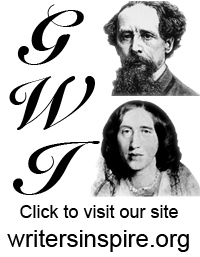 Part of the aim of our Great Writers Inspire project is to make high-quality, research-inspired material on literary topics freely available on the web. Part of Fitzpatrick’s excellent critique of academic publishing in Planned Obsolescence: Publishing, Technology, and the Future of the Academy is about library costs, publishing profits, and the paradox that universities effectively salary their research staff while they are writing their books and articles, and pay again for the journals or monographs they produce. Using the internet to take out some of the costs of the reproduction of scholarship – given that for many, but not all academic writers the costs of production of that scholarship are paid for in their salary – seems one way to cut out a commercial middleman, as well as to harness some of the benefits of more extended peer review. It’s part of a number of suggestions in this piece by Martin Paul Eve in the Guardian . This entry was posted in resource, rights. Bookmark the permalink. 4 Responses to Who owns scholarship? I’d pay up to 15p, Emma. It’s interesting to think about the difference here between the issues for unsalaried creative writers and salaried academics. Copyright was a hot topic amongst writers in the period I work on (early 20C), and there are some famous instances of piracy of contemporary novelists’ work–Samuel Roth’s publication of sections of Ulysses, for example: Joyce took out an injunction to prevent him. But in that debate the point made was that contemporary writers, especially experimental writers, were finding it difficult to sell their work and make a living, yet publishers were able to make money out of their labour, due to gaps in international copyright law. I agree with Emma that salaried academics are being paid to spread and generate knowledge, and that’s part of our duty. But what of a fairly recent phenomenon: salaried creative writers? It strikes me that the debate on the value of scholarship and who profits from research comes on the back of the increases in student fees. It is part of the growing tides of concern that education is only an option for the rich (again). Thanks, Alex: the Radiohead model is interesting. But it does all buy into – even our language does! – the idea of education and research as a commodity in the market, rather than as something like a public good.